Professional, Accredited Document Scanning Company. Looking for competative document scanning prices in the UK? Do you need the best priced professional document scanning company with friendly and helpfull staff? Do you want your document scanning to be GDPR compliant? Do you need your documents scanning to PDF, PDF/A, JPG, TIFF or similar? Fully BIP 0008-1:2014 compliant for legal admissibility of your electronic records? Do you want flexible, easy to use viewers, accessible from your PC, laptop or tablet? We provide just that and much more! Based in a central UK location in Bedfordshire, covering the whole of the UK, serving all your document scanning and document storage needs. We offer the best price document scanning service in Cambridgshire, Bedfordshire, Hertfordshire and surrounding areas! Serving the whole of the UK we will not be beaten on our document scanning price! We have some of the lowest document scanning prices for document scanning in the country. We will not be beaten on document scanning price. If its Document Box Storage you need we can provide this at our Cambridgeshire based box storage facility. Our Cambridge based document scanning company supplies UK companies with document scanning and document storage services. We specialise in the scanning of lever arch files, office paperwork, AP, lab notebooks, microfilm, microfiche, 35mm aperture cards, large format drawings scanning and GIS to electronic format from its Cambridge based document scanning bureau. As a legal requirement to process client documents we are Registered under the Data Protection Act. With our Data Protection License our company proves its commitment to assuring a secure professional document scanning and storage service. Database software conforms to BS 10008: 2008, 0009,00010 for legal admissibility of documents in a court of law. It also complies with ACCA, ICAEW ,HMRC, FSA & FDA regulations. Our PDF/A documents are scanned to PDF/A-1b Compact ISO19005-1 level B allowing you to be fully compliant with electronic archiving regulations. We go as far to encrypt our scanned documents and data to AES256 standards to provide full client confidentiality. Our Document Scanning company has the ability to handle varying quantities of documentation within a secure, controlled environment. Methods of delivery to our clients include a variety of media formats, such as CD, Hard Drive, Internet and broadband technology. 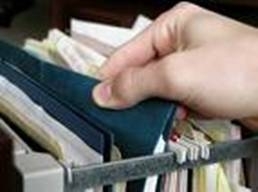 Our Document Scanning company can offer an ongoing workflow solution once your backfile document scanning has been completed which can significantly reduce the cost of processing documents such as invoice, purchase orders, PODs (proof of delivery notes), supplier contracts and so on giving a fully auditable system. If you are using a document management bureau already we can produce your images in the same format and with the same software. All you will see as the client will be discounted prices. We will not be beaten on document scanning price or service, put us to the test today!.